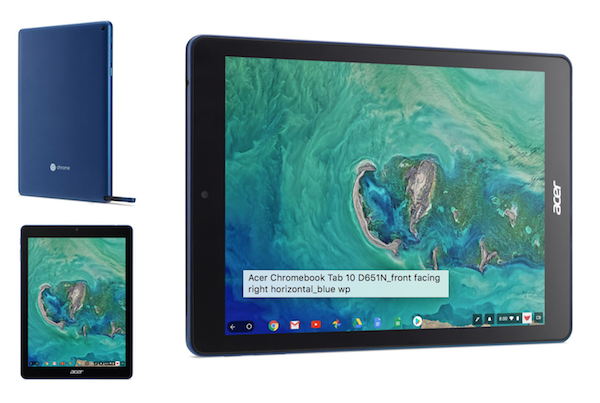 With Apple expected to announce a new, low-end and ultimately low-cost iPad during its education-focused March 27th event, Google has sought to steal a march on its long time competitor by getting a tablet of its own out the door first. This move by Google kind of reminds us of Microsoft back in 2010 when Ballmer took on stage at CES to announce HP Slate PC (remember those?) powered by Windows 7 right ahead of Steve Jobs original Apple iPad keynote. 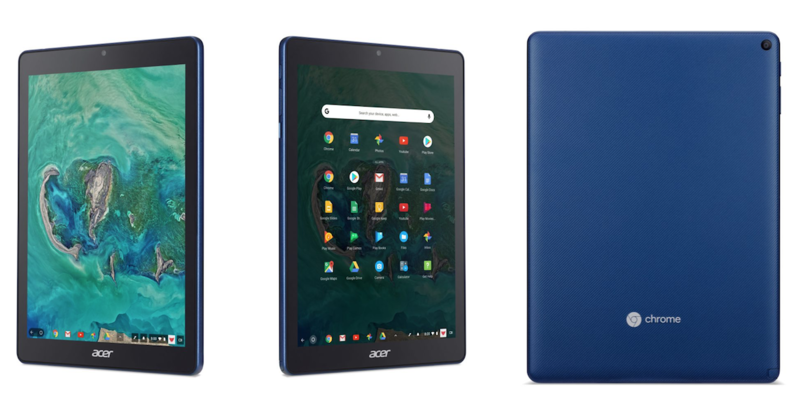 Anyways, back to Google’s announcement, the Acer Chromebook Tab 10 is the first Chrome OS tablet to be announced, and it is aimed at the K-12 market – one which Apple is also expected to target at its event in a few hours from now. Chrome OS originally debuted back in 2011 and since then has found its way into a variety of different devices with different form factors. Often those machines have been convertible notebooks, and this new Acer tablet is arguably the next logical step, especially after Google’s efforts of putting Android on tablets have failed to compete against the Apple iPad. The tablet itself sports thick bezels that might not be all that bad of an idea considering the target demographic, with a 9.7 LED-backlit display packing a 2048 x 1536 resolution. That display also supports the included Wacom EMR stylus that does not require charging. The competing Apple Pencil of course does require charging, although that may change after Apple event where the company is expected to debut a new version of Pencil. Acer’s new tablet is slightly heavier than the iPad at 1.21 pounds and is thicker too, at just under 10mm. Again though, given the target market a little extra heft may not be a bad thing when you need a device to be able to stand up to use in a classroom environment. Internally the Acer Chromebook Tab 10 carries two Cortex-A72 and four Cortex-A53 processor cores, with 4GB of RAM and 32GB of storage. There’s also a microSD card slot for those who require expandable storage. The usual array of Bluetooth 4.1 and WiFi radios are included, as are 2 megapixel front-facing camera, and 5 megapixel rear-facing cameras. Power is handled via a USB-C port, and yes, there’s a headphone jack as well. The new tablet launches this April in North America for $329 and in the rest of the world starting this May at around €329 depending on taxes. If google was the only builder of their Hardware for their OS, they would have ditched ChromeOS and Android long ago, but since they only care about peoples data, why should they care if more than 95% of the android vendors are selling at a loss to attempt to get marketshare.